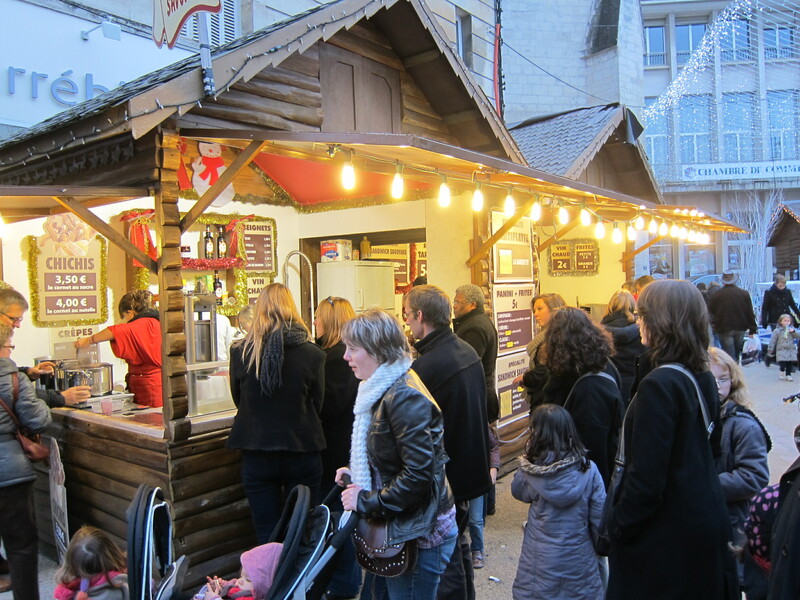 Les marchés de Noël, or Christmas markets, are an important part of Christmas in France, and in many other European countries as well. 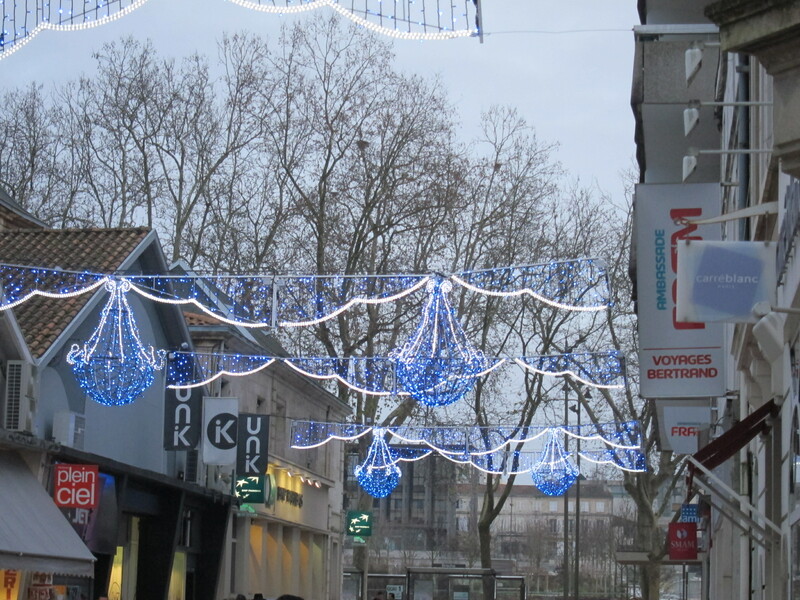 In France, the markets generally open in the beginning of December and run until Christmas, although some are only open certain days. Many towns and cities of all sizes host Christmas markets. 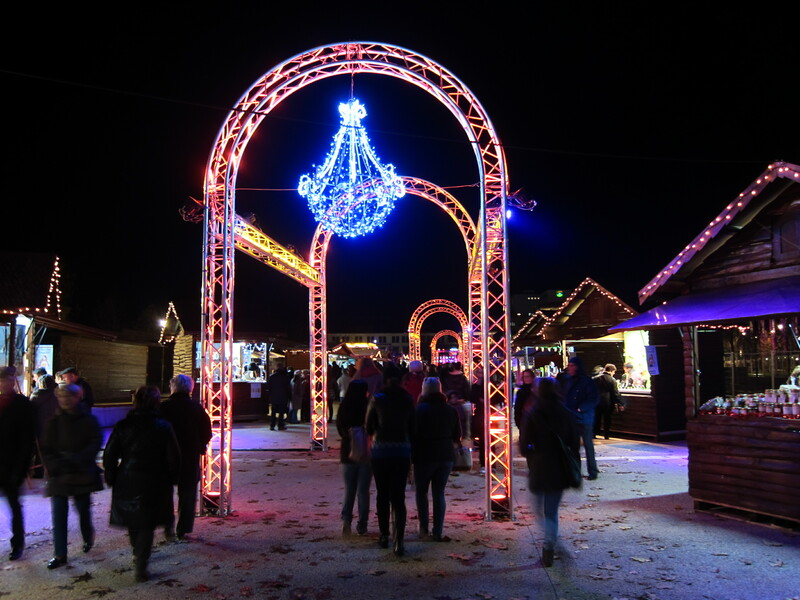 One of the biggest markets is held in Strasbourg, which is also the longest-running Christmas market; it has been held annually since about 1570. The biggest is in île-de-France. 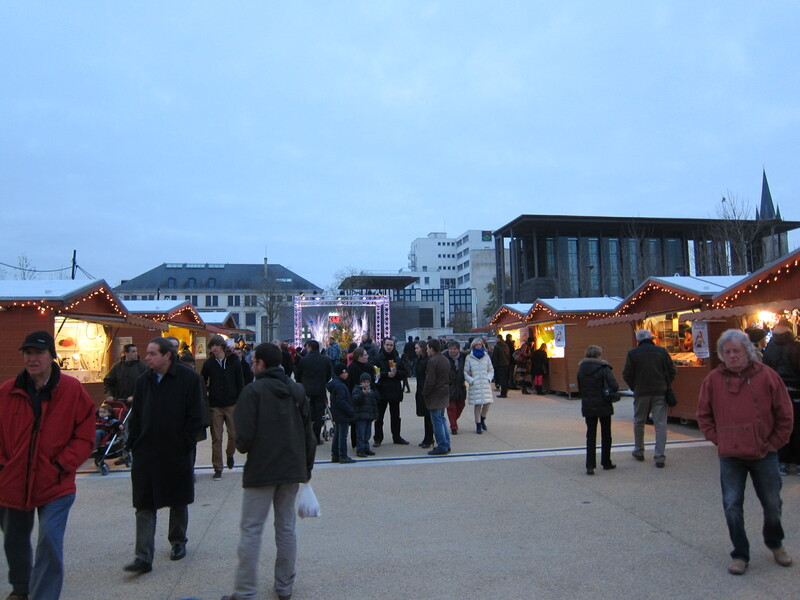 Even in my little city of Niort there is a Christmas market. It opened on December 7 (which is also coincidentally La Noche de las Velitas in Colombia) with a parade in the town and it was the first day they turned on all of the Christmas lights that illuminate the town. There are also temporary booths set up that sell crafts, hot wine, and crepes, among other treats. Sofia Vergara in "Undeck the Halls"
In Colombia, Christmas decorations, especially lights, are quite popular. From the end of November on, stores become filled with garlands, strands of lights, and ornaments for people to decorate their homes with. Colombians also buy artificial Christmas trees, as real pine trees are hard to come by. December 7, La Noche de Las Velitas, is the official day to put up Christmas lights and decorations. Medellin and Bogotá especially go crazy with Christmas lights. This year Medellin had 16 million lights around the city, and Bogotá had 7 million. Both of the cities give tours so you can see all of the lights. Some people also put up lights in and around their homes, and many apartment buildings also decorate the outside. 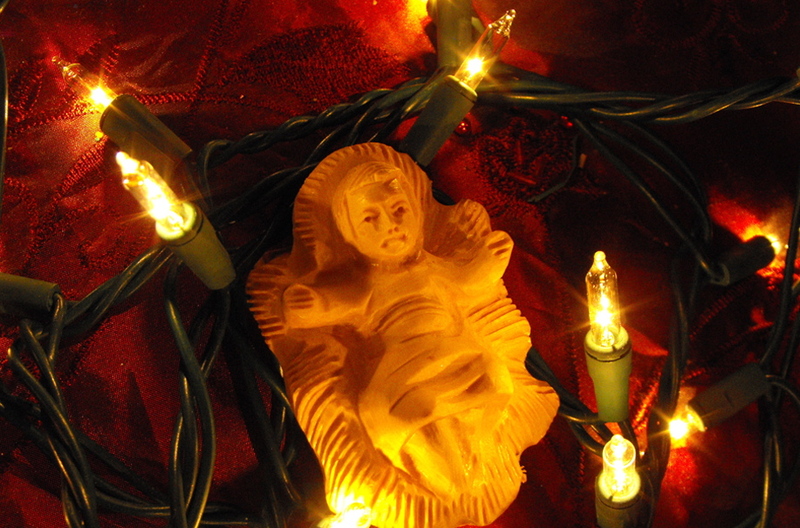 Almost all Colombian homes will have a Christmas tree and a nativity scene, or pesebre. The nativity scene is especially important because during the novenas friends and families gather around it to sing villancicos and say prayers. However, Christmas trees have not always been a typical tradition in Colombian; this custom came over from the States. Also, people used to have live Christmas trees, but this is now illegal so as not to harm the environment. Spoiler alert: If you still believe in Santa Claus then you probably shouldn’t read any more. In Colombia, Santa Claus, (Papa Noel) is not the bearer of gifts. Instead, it is Baby Jesus, or, El Niño Jesus/El Niño Dios who brings toys to the children at midnight on Christmas Eve, usually leaving gifts at the foot of the beds of the children instead of under the tree. Also, children write letters to Baby Jesus instead of Santa Claus and is placed in the nativity set for Baby Jesus to read. The Papa Noel figure still exists and he can be seen in malls throughout Colombia, just like in the States, for children to have their picture taken with. Because Colombia is predominantly Catholic country, there is a more religious aspect to Christmas in Colombia than in the States, although Papa Noel has become more prevalent in recent years. Now it is more of a mix of El Niño Jesus and Papa Noel who brings the presents. Whoever brings your presents on Christmas, have a wonderful holiday! 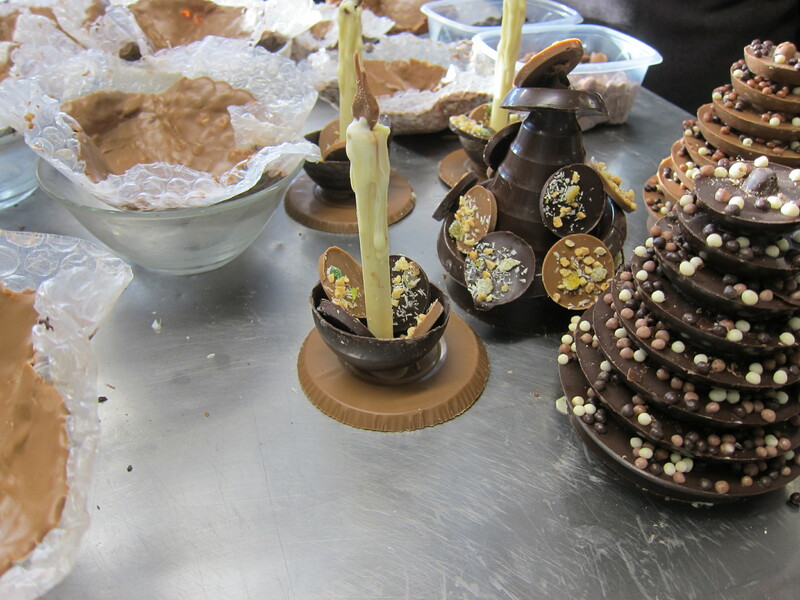 And check back tomorrow for more on Colombian Christmas traditions! An important part of the novenas is the villancicos, or Christmas carols, that are sung every night. 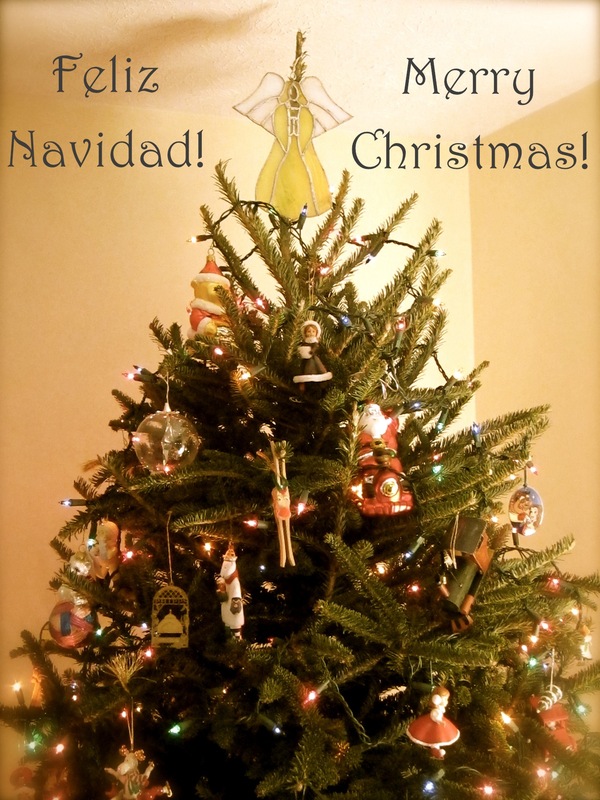 Villancicos are quite different from the typical Christmas carols we sing in English. There are no “Jingle Bells” or “Deck the Halls;” the carols sung in Colombia are all more religiously focused, mostly on Mary and baby Jesus. Villancicos are rooted in Spanish Catholic history and the tradition carried over to Latin America, with some changes, of course. Composers of villancicos came from many different Latin American countries, including Colombia. Some of the most well-known villancicos are Tutaina, Los Peces en el Río, Las Campanas de Belén, and Mi Burrito Sabanero. You can listen to Tutaina in the video above. In Colombia villancicos are most commonly sung during novenas, when family and friends gather around the pesebre, or nativity scene. 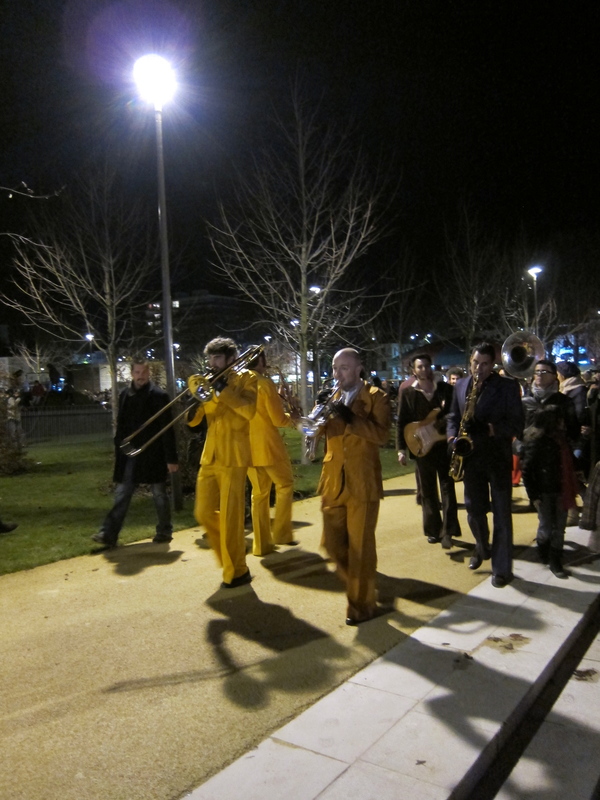 People also bring different musical instruments such as panderetas, tambourines, and claves to accompany the singing. If you want to listen to the other villancicos, they are all on YouTube! Yesterday I wrote about the different traditional Christmas food and drinks in Colombia, and today I have the recipes for you! If you want to see pictures or descriptions of anything, just read my post from yesterday here. Mix all ingredients together, minus the oil, until it is a soft dough. Then form the dough into ½ inch diameter balls. Heat the oil. To know if it is the right temperature, you should form a tiny test ball of dough and drop it in. It should sink to the bottom, and then count to 11. If it rises at 11 seconds, it is ready. If it rises too quickly, it is too hot. If it takes longer to rise, the oil is not hot enough. 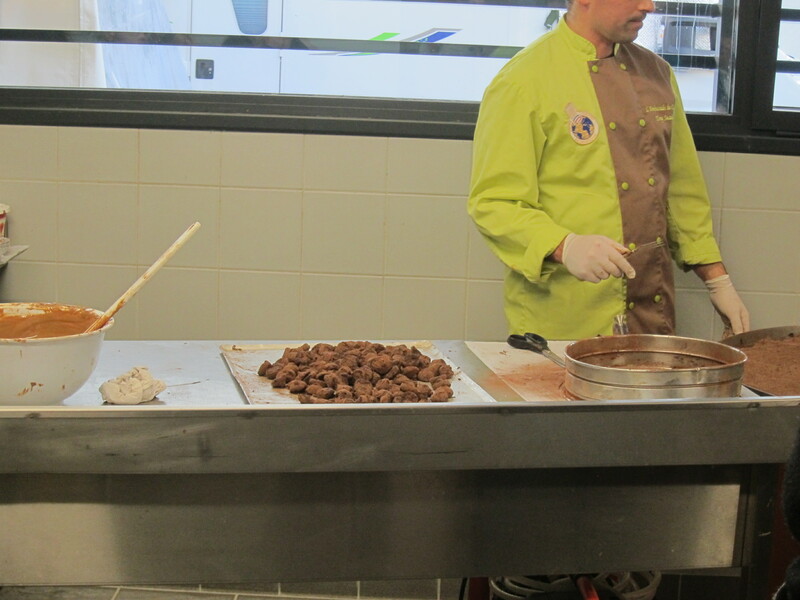 The trick to buñuelos is the temperature of the oil; it has to be perfect, so make sure you test the oil. They are done frying when they are a nice golden brown on the outside. Then place them in a bowl lined with paper towels and serve immediately. Dissolve the corn starch into the milk. Add the brown sugar. Cook over low heat, stirring constantly. When the sugar has fully dissolved and begins the milk has started to thicken, add the cinnamon sticks. Continue to cook for about 15-20 minutes, stirring constantly. Then, take the cinnamon sticks out, and pour the mixture on to a large and slightly deep, tray. Allow to set, place cinnamon sticks and sprinkle cinnamon on top, and serve. Last, canelazo, a tasty drink you can serve all winter long. It’s perfect at Christmastime or on any cold day. Mix the aguapanela, aguardiente, cinnamon, and lime juice in a pot over medium heat. Simmer for about 7 minutes, without allowing it to boil. Cover the rims of the cups or glasses with lime and sugar and pour in the liquid and serve. If you like what I write and want to keep reading, subscribe here!